Music City has a web of over 250 networks dedicated to helping startups and entrepreneurs. This is one of the reasons why Nashville has become the nation’s fourth best city to start a business according to Inc., beating out tech-centered giants like San Francisco and New York. Yet despite all the available assistance out there, for those just starting out, finding your way to and through that busy ecosystem can sometimes feel like an insurmountable hurdle, a never-ending hunt for hidden treasure – and all without a map. Connecting the dots for entrepreneurs at all stages of development is Navigate’s main purpose. Powered by the Nashville Entrepreneur Center - one of the hundreds of incredible resources mentioned above for entrepreneurs seeking guidance along the way - and hosted by the EC’s Clark Buckner and Brynn Plummer, each episode intends to shine a light on this city’s varied support systems. We’ll hear from business leaders like Jessica Harthcock, co-founder and CEO of Utilize Health, a Nashville-based startup that assists patients with neurological disabilities find treatment programs around the country. What began as a four-member team quickly grew to an operation with now over forty employees. Harthcock attributes that success to the city itself. 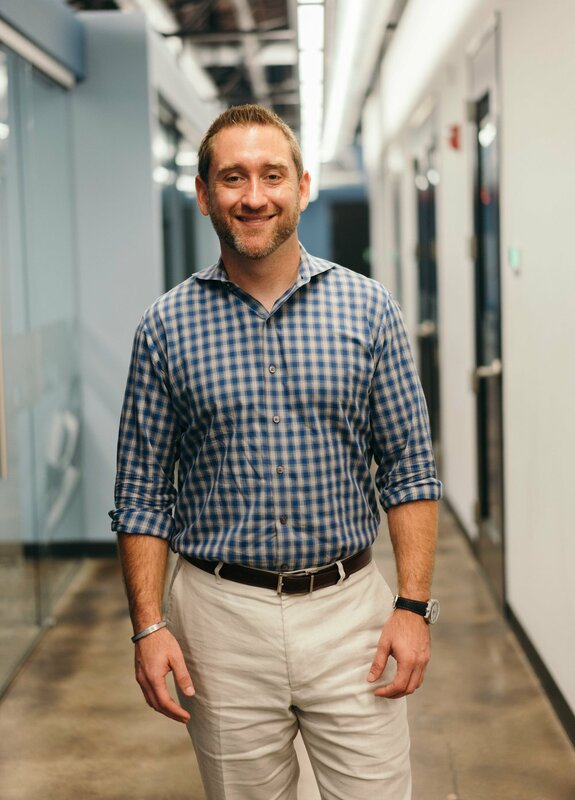 One of those many mentors Navigate will interview along the way is Michael Brody-Waite, who shared his journey from drug addiction to being named one of the Top 40 Under 40 CEO’s by the Nashville Business Journal. Brody-Waite eventually sold his startup, InQuicker, and wanted to give back to the community that helped him find success as a resource himself. He did so by becoming the CEO of the Nashville Entrepreneur Center. His episode of Navigate will focus on how to find and foster the right mentor relationships. By also exploring the myths surrounding entrepreneurship and sharing stories of success and failure, we intend to use Navigate to do more than just bring light to Nashville’s complicated ecosystem; we also hope to expose some of the potholes many entrepreneurs encounter along the way. In one segment called “Death by 1,000 Coffees,” we’ll talk with Renee Bobb, owner of the Music City Icons, a semi-professional women’s basketball team. She describes how quickly the waters can be muddied, sometimes unintentionally, by Music City’s many communities willing to help each other out. But by following the advice spotlighted in each episode of Navigate, and sharing each other’s stories along the way, we hope entrepreneurs will be given a leg up on the journey to success. After all, this city’s business community is made up of all these different puzzle pieces, which when assembled fully, paints one spectacular picture: there is no better place for an entrepreneur to start than right here in Nashville, and no better time than today! So unfold that napkin, open up those notepad idea files and tune in to Navigate for your guided tour through Nashville’s business ecosystem. Subscribe on Apple Podcasts, Google Play, or wherever you get your podcasts! HAVE TROUBLE NAVIGATING ALL OF NASHVILLE'S RESOURCES? TAKE OUR FREE NAVIGATION ASSESSMENT TO BE CONNECTED TO THE RIGHT RESOURCE. Once you've completed the assessment, a friendly EC team member will reach out to guide you with a few recommendations. As a non-profit, it's our mission to champion YOU. We're in your corner.